You’ve heard of personal assistants. Usually busy executives have them and they basically do anything and everything the executive doesn’t have time for. One of those tasks is very likely running errands at the grocery store. Setting up your own personal shopping business has one major difference. Instead of working for someone else you’ll be working for yourself and doing something you already do on a regular basis. The market is full of potential customers such as people who are too busy to go grocery shopping, including business professionals like doctors, teachers and executives and there are also fellow seniors who may not be able to get out to the supermarket due to mobility issues. For whatever the reason, a personal shopper can fill in the blanks and if you are considering this as a way to make a few extra dollars as you approach retirement, or turn into a retirement career, it isn’t costly to start. Primarily you’ll just need a vehicle and a cell phone. 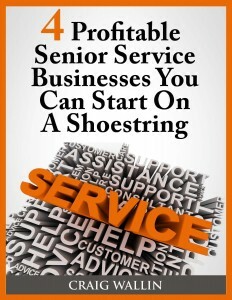 Other assets are organizational skills, common sense and the ability to make and keep appointments with your customers. The quickest way to get the word out about your personal grocery shopping business is to advertise in the local paper, use flyers in the mail, post notices on bulletin boards, contact local senior’s organizations and tell your neighbors. As for fees, you’ll have to consider a number of factors including time and fuel. For example, setting an hourly rate is good if you are expected to make a huge grocery shopping trip. The national average is $26 an hour. Smaller purchases can have an extra ‘pick up’ fee attached to it to cover your effort. If you are located in a big city or are required to travel to the nearest big city for specialty items, then you’ll have to also charge a mileage fee. There are many advantages to starting a personal shopping business and they include the fact that you are working for yourself with no superior to deal with which means you can also decide when and how long you want to work in a day, week or month. You’ll see immediate payment for your services instead of invoicing and waiting for payment. There’s no special training, qualifications or certificates required to buy someone else’s groceries and since you don’t need a storefront office to operate from, your overhead is low as you can run your business from your home. There are also additional benefits to running a personal shopping business in that you may want to expand to include extra errands and add extra fees for those trips. For example, Mrs. Smith not only wants groceries this week, she wants you to pick up a parcel at the post office and drop off a prescription form at the pharmacy. Those stops may send you clear across town to complete. Depending on the popularity of your business and the number of customers you can handle easily, you may decide to turn it into a full time venture and come out of retirement. Teach English Abroad and Get Paid To Travel !